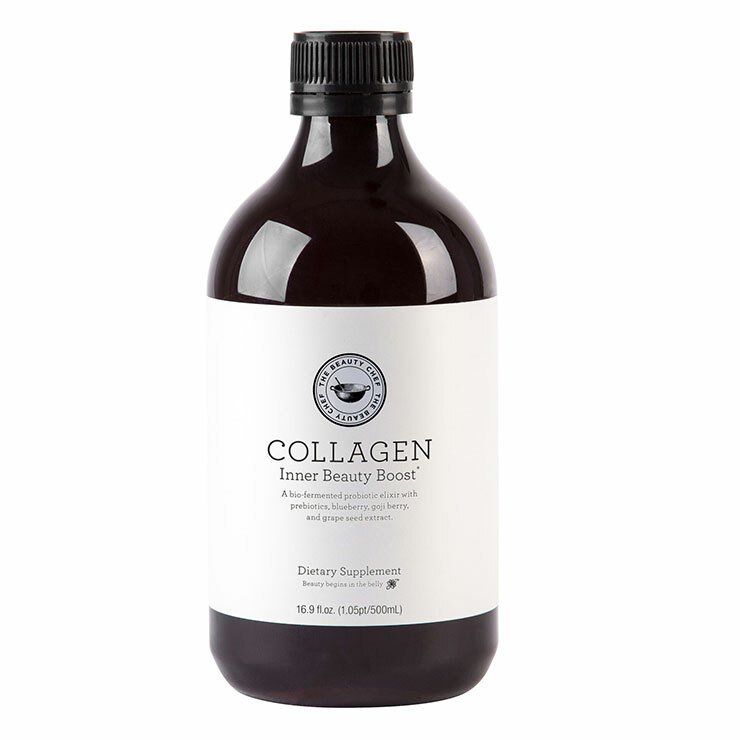 The Beauty Chef's Collagen Inner Beauty Boost is formulated to visibly improve skin's health and radiance from the inside out. This tonic consists of organic, bio-fermented probiotic ingredients that serve to boost the appearance of balance, firmness, purity, and health. Additionally, it is rich in antioxidants to keep hair and nails looking their best. Simply combine 15 mL of concentrate with 200 mL of water and consume daily. For even better results, combine with your chioce of Inner Beauty Powder by The Beauty Chef. Super sweet. I felt "off" for hours after my first serving, which was 1 tsp. instead of the recommended 1 Tbsp. I received a sample bottle in a beauty box and I will never take another dose. Though it is called "collagen," it seems to be more probiotic.